Fifteen faculty members have been selected for the prestigious Fund for Faculty Excellence Awards, UO Provost Jayanth Banavar has announced. 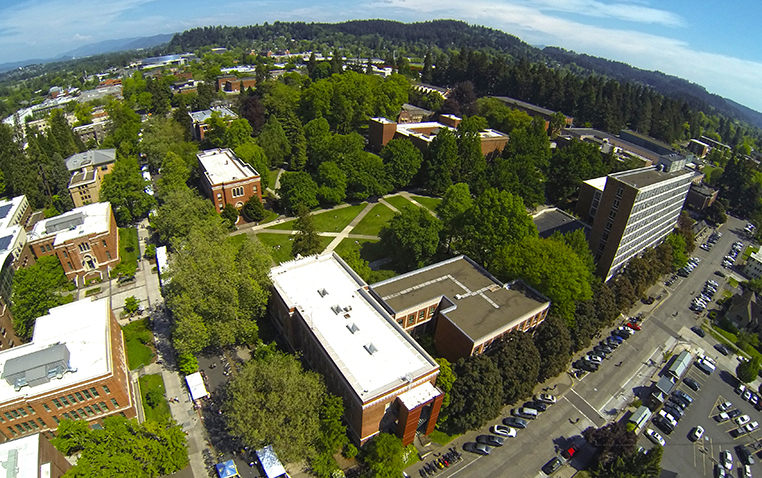 The Fund for Faculty Excellence Awards was established in 2006 through the support of Lorry Lokey and increases the academic quality and reputation of the University of Oregon by highlighting and supporting world-class research and teaching. The fund is designed to recognize, reward and retain nationally competitive faculty members who have a record of excellence in research, scholarship, creative accomplishment and education. More than 150 faculty members have now received the award. Candidates are nominated by deans, with advice from faculty and unit heads, and nominations are reviewed by the Fund for Faculty Excellence Awards review committee before a final determination is made by the provost. The awards provide faculty members with a $20,000 salary supplement or $30,000 for research support.